His Holiness the 14th Dalai Lama, the highest leader of Tibetan Buddhism will give a public talk on the topic “We are one family”. 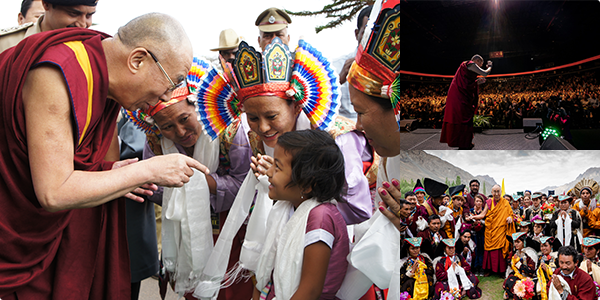 His Holiness is constantly sending the message “Seven billion human beings are one” throughout the world. The discussion will be on the creation of a new awareness and the potential of the generation that is responsible for the future of Japan. Copyright © 2018 Sherab Kyetsel Ling Institute. All Rights Reserved.